To be just his own. Into air did he swing. Thought they didn’t know why. Will you like all you sought? He who dies with the most acorns wins…. nothing! Wouldn’t it be better to have nothing, and yet be right with God and man? 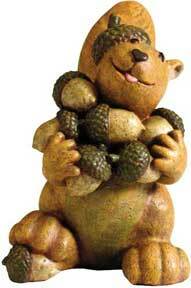 Let’s put the Lord and Others above the “acorns” in our life. What are the acorns in your life and distract you from what really matters? Again the rhyming is amazing! Aside from the message I found this funny.